Dental Implants - My Plantation Dentist - Heidi Finkelstein D.M.D. If you have a missing tooth or teeth, dental implants are an ideal option for their replacement because they look, feel and function like natural teeth. Strong and durable permanent implants create a uniform and even appearance, allowing you to smile confidently, boosting your self-esteem, and enabling you to eat the foods you like, without worry of movement or slipping. In fact, dental implants actually integrate with your jaw's living bone cells, stimulating the bone and preventing deterioration that can impact facial structure and create an aging, sunken-cheeked appearance along with an increased risk for jaw fractures. Putting off the replacement of missing teeth can cause complications that are time-consuming, costly, and uncomfortable, so don't wait to find out about restoring your smile. Implants can be used to restore your smile whether you are missing a single tooth, multiple teeth, or even a full set of upper and/or lower teeth – Your smile can be restore with dental implants. If you have been suffering with bulky, uncomfortable, outdated dentures, you can now enjoy the benefits of permanently replacing missing teeth with implants that look, feel and function like natural teeth. 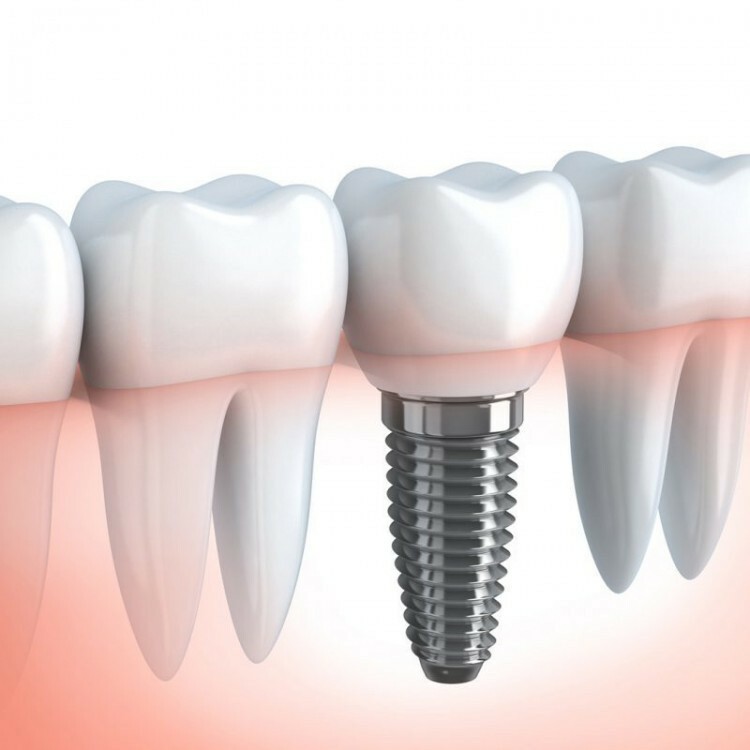 An implant is a medical-grade titanium fixture that serves as the root for a new tooth or teeth and is attached to the jaw. A connector, called an abutment, supports and holds the crown, which is the replacement for the part of the tooth that can be seen. These crowns blend your smile with the look of natural teeth.